[Theo] tipped us off about something that every TI Evalbot owner may be interested in, the The manual and source code for the uC/OS-III kernel is now available for download. UC/OS-III is what came with the evalbot, and it is a realtime operating system for that and many other chips. The problem with it for most hobby level people is that just the manual was 100$, and unless you already knew something about the system it did not sound very attractive. 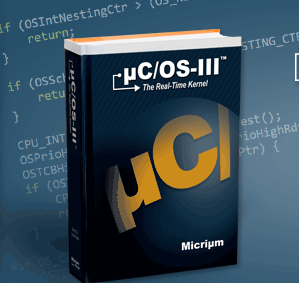 But now micrium, the author of US/OS-III, has released the source code free to use in non commercial applications, and manuals for every chip supported it may drum up some more interest in this neat little RTOS. Though it does require a subscriber login. TI adds some Linux support for Evalbot – we’ve got hardware coupon codes for you! 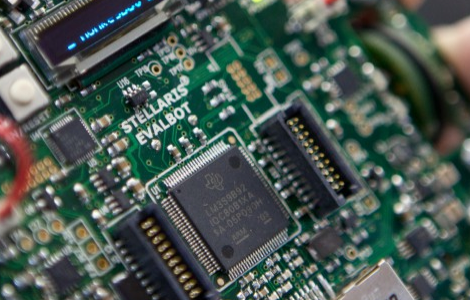 In case you missed it, Texas Instruments sells a little robot called the Evalbot as a development platform for ARM Cortex-M3 microcontrollers. 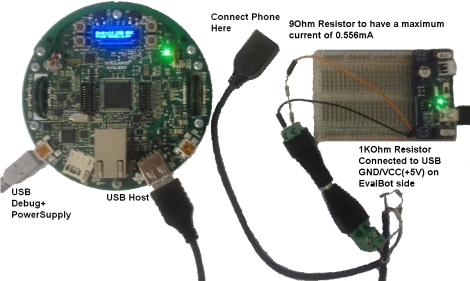 Since its release we’ve seen a few hacks on the hardware; the image above is a proof of concept for developing for the device under Linux. We have criticized TI in the past for not natively supporting Linux with their IDEs. We’re not sure how it will play out, but they have added new software package options to go along with the hardware. You’ll notice on their PR page that there is now an option to use CodeSourcery. It is a trial of the full version, but at least it is a step in the GNU direction from their previous offering. The Hackaday team has been talking off and on with TI about the hardware. We’re happy to say that they’ve been listening to the Internet community about their likes and dislikes; following various online groups that have sprouted up to talk about Evalbot projects. It sounds like they’re thinking about hosting a contest using the hardware. So maybe you want to get your hands on one so that you can familiarize yourself and hit the ground running if/when that contest starts. You’re in luck, we can help save you a few bucks. The first time that Texas Instruments tried out a $125-off coupon code the deal got away from them. It had been meant for attendees of the ESC Boston conference. They honored the deals that went through before the proverbial run-on-the-bank got shut down. This time around they’re using serialized deal codes to limit the number of give-aways. We’ve got 200 of them just waiting for our loyal readers to use. One code will let you purchase one Evalbot for just $25 (instead of $150). Please take a moment to decide if you actually want (and will use) one of these robots, and decide if you are willing to shell out the $25 to order it. You see, we don’t want this deal going to waste. If you decide this is for you, send an email requesting a code to:We’re all out! We’ll dish out the deal on a first-emailed-first-served basis. We will update this post when all 200 have been claimed. We will not tolerate anyone gaming the system and so we reserve the right to disqualify any email submission for any reason in an attempt to maintain some semblance of fairness. Also… if you’re planning to pick this up just to resell it for cash you’re a loser. We have some beefs about how Texas Instruments does things, the biggest of which is their lack of support for development under Linux operating systems. But if they build it, someone will try to get Linux involved in one form or another. 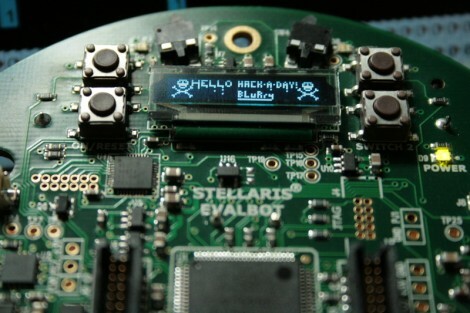 This time around, [BLuRry] put together a guide to developing for the Evalbot under Linux. He got a shove in the right direction from the code package that went along with that nunchuck-controlled Evalbot. Picking apart that example to the bare essentials he wrote up the process of setting up the cross-compiling toolchain in a virtual machine so as not to clutter your system. From there he details how to set up and use Eclipse when starting a new project. What what did he choose for a Hello World experience? Well a plain “Hello World” was first but right on its heels is the “Hello Hack-A-Day” seen above. So if you’ve got one of these on hand get out there and start coding for it. 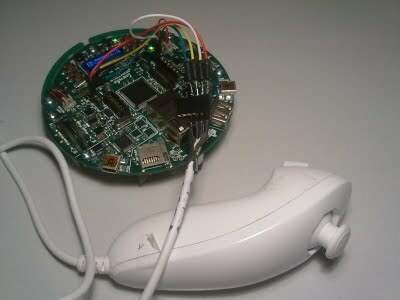 [Martin] got his evalbot recently and wanted to try controlling it with his Wii nunchuck. After some trial and error, he finally got it working. He’s shown that controlling the bot with the nunchuck was actually pretty simple, but there are some other tips that could be pretty helpful in the process. One was the fact that the point where he’s taking power for the nunchuck could easily be shorted on the motor. He wrapped his in tape, but we could see this little bug pestering us for a while before we figured out what it was. You can download his code and see his build process on his site. Be sure to catch the video of it working in both accelerometer and joystick mode after the break. If you’re a member of a hackerspace and you’ve been hoping and wishing for an evalbot to tear apart with your bare hands, you’re in luck! [Dave Bullock] is giving out five evalbots to five lucky hackers chosen at random. We thought that the $125.00 deal we saw the other day was good but this is right outta town! The draw is on Black Friday, so you’ve got a few days to submit your details. We’ve only had a few posts about the evalbot to-date covering the initial examination of the hardware and a USB power modification. We’re interested in seeing where people take this, and we’d love to follow how each of these free ‘bots turns out. For those already working on an evalbot, keep it up and take lots of pictures!